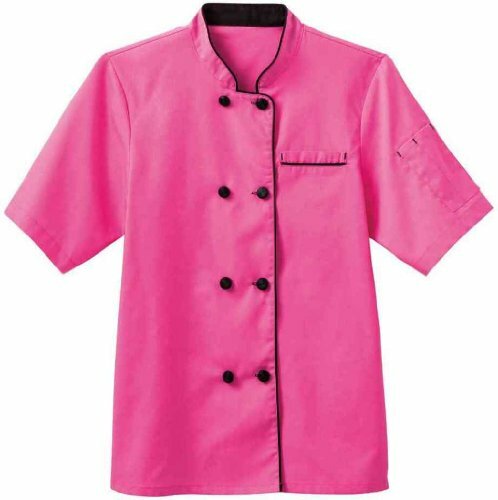 White Swan Five Star Chef APPAREL Unisex Short Sleeve Chef Jacket. 65/35 poplin with soil release. 29" length. 10 black button closure. Breast pocket. 2 piece back. International shipping available. Embroidery available. 65/35 Poly/cotton Poplin With Soil Release. Contrast Piping Around Collar, Down Front And On Breast Pocket. If you have any questions about this product by White Swan, contact us by completing and submitting the form below. If you are looking for a specif part number, please include it with your message.